Justin Bieber has urged fans to stop asking him for a photo because he feels like a "zoo animal" and is done taking snaps with them. The Sorry singer took to Instagram.com on Tuesday (10May16) to make the announcement, and simply wrote, "If you happen to see me out somewhere know that I'm not gonna take a picture I'm done taking pictures." He continued, "It has gotten to the point that people won't even say hi to me or recognize me as a human, I feel like a zoo animal, and I wanna be able to keep my sanity. "I realize people will be disappointed but I don't owe anybody a picture. and people who say 'but I bought ur (sic) album' know that you got my album and you got what you paid for AN ALBUM! It doesn't say in fine print whenever you see me you also get a photo." Bieber's curious post came a day after he was spotted sightseeing in Boston, Massachusetts ahead of his Purpose tour dates in the city. He arrived in Boston on Monday (09May16), and spent the afternoon walking around the Boston Common and the Public Garden barefoot. Pictures of Bieber without his shoes were posted on social media by fans. He reportedly refused to take photos during his outing as well. 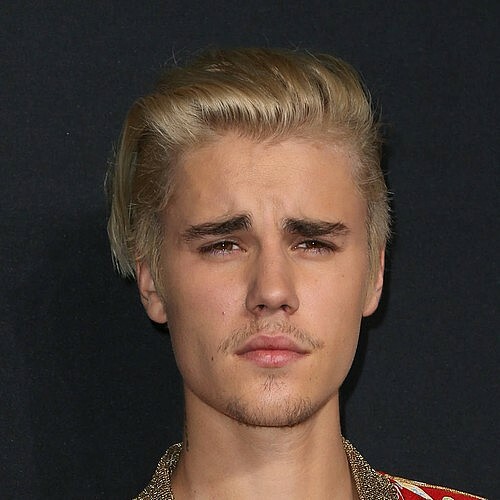 This isn't the first time Bieber has spoken out about fans and their selfies - in a Snapchat video in September (15), he said, "Honestly, I'd rather stand there and talk to you for five minutes and not take any photos... just have that moment without the chaos. It's like, 'Why did you travel to see me in the first place? Was it really to see me or was it to get that moment of you seeing me so you could tell people about it? "If I'm walking somewhere or arriving somewhere and you guys are asking me to take a photo, if I don't respond, if I continue to keep walking, the likelihood is that I probably don't want to take a photo at that moment. If you start screaming louder, that's not going to make me want to take a photo more." And in March (16), Bieber announced he was axing all of his Purpose tour meet-and-greet sessions prior to his gigs since the encounters had left him disheartened. He wrote on Instagram at the time, "I enjoy meeting such incredible people but I end up feeling so drained and filled with so much of other people's spiritual energy that I end up so drained and unhappy."